SEPTEMBER 7--In a bid to “exact revenge” on a high school student, a Florida teenager broke into his rival’s car and planted a loaded gun, a knife, and a bag of marijuana and then instructed an acquaintance to contact police to report spotting the items in the vehicle, according to court records. 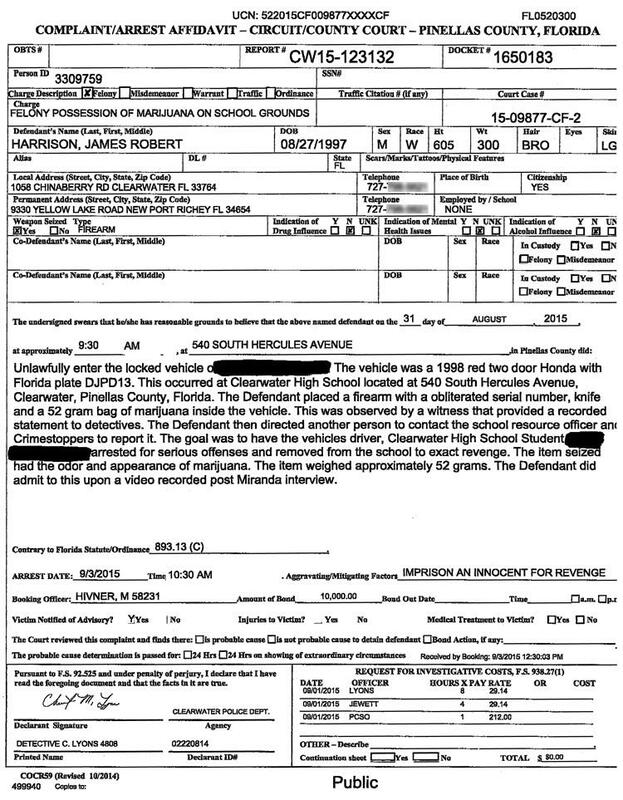 The alleged plot to frame the student backfired after a witness told cops that they had spotted James Harrison, 18, breaking into the victim’s 1988 Honda while it was parked Tuesday in a lot at Clearwater High School. 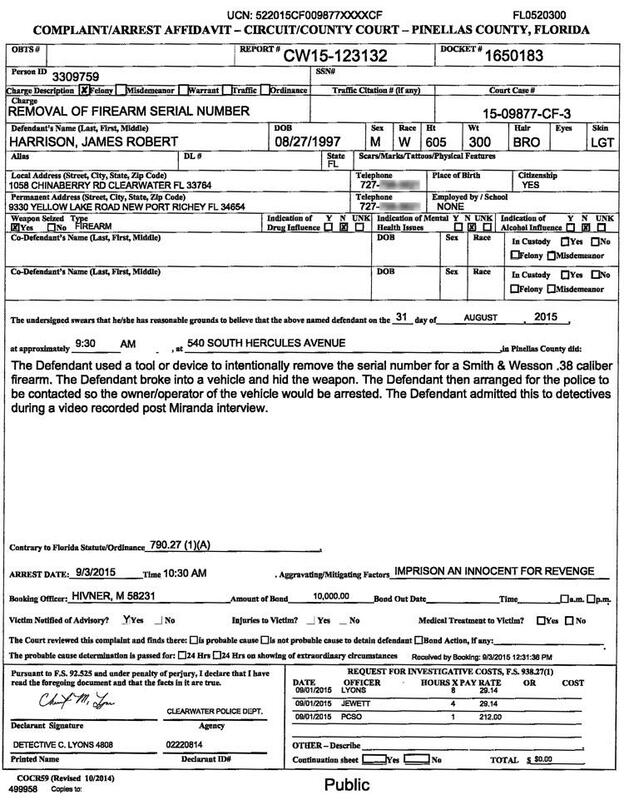 As detailed in a series of criminal complaints, Harrison placed a Smith & Wesson .38 caliber revolver, a knife, and a “52 gram bag of marijuana” inside the Honda around 9:30 AM on August 31. 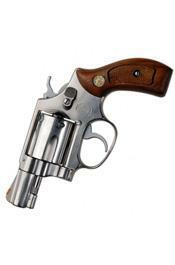 The gun, cops noted, had its serial number ground off. 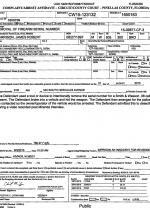 The complaints do not reveal why Harrison allegedly sought to “exact revenge” against the victim, whose name was redacted from Clearwater Police Department reports. In a videotaped police interview, Harrison--who is seen in the above and below photos--reportedly confessed to trying to frame the student. The 6’ 5”, 300-pound Harrison, who graduated from Clearwater High School three months ago, has been charged with four felonies stemming from the bizarre scheme. 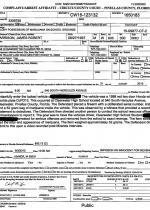 The teenager spent two days in jail before being released Saturday on $55,000 bond.